478 p., 17,4 x 24,4 cm. Edited and annotated by Christine Jackson-Holzberg, Patrick Müller and Friedrich A. Uehlein. In cooperation with Wolfram Benda. 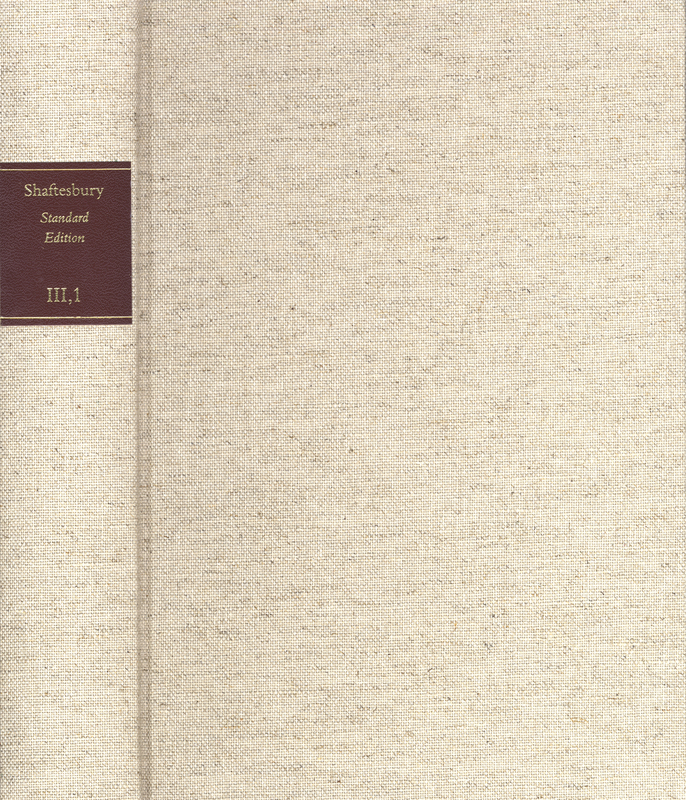 The first complete edition of the correspondence, these volumes provide all the letters from and to Shaftesbury, which today are mainly kept in British archives, in their original form or as a copy. Concise explanations shed light on the biographical and historical background. The letters enable the reader to gain new insight into the earl’s private life and political activities, and in addition shed new light on his relationships to other intellectuals of his time. Reading this correspondence will unquestionably provide Shaftesbury researchers with new inspiration in the coming years.